Park City, Utah, American Brazilian Aesthetic Meeting, Feb 14-18, 2019. New Brunswick, NJ, New Jersey Society of Plastic Surgeons, April 13, 2019. Milan, Italy, The Aesthetics Meeting, May 3-5, 2019. New Orleans, The Aesthetic Meeting. Smoothers vs Definers in Body Contouring: Long-Term Definition vs Deformity, May 16 -21 2019. Guadalajara, Mexico, Annual International Symposium of Aesthetic Plastic Surgery, Nov 7-10, 2019. Chicago, Illinois. ASPS Chicago Meeting, BodyBanking for Better Results, Fall 2018. Boston, North Easter Society of Plastic Surgeons. Aesthetic panel October 27 2018. NY, NY. ASAPS, Body Contouring in Men- Gluteal Augmentation, American Society of Plastic Surgeons, September 30 2018. NY, NY. ASAPS, Body Lifting, American Society of Plastic Surgeons, September 28 2018. NY, NY. ASAPS, Male Plastic Surgery – How to Get Dudes into Your Practice, April 29 2018. NY, NY. ASAPS, Developing Systems in Aesthetic Practice to be Successful in the 21st Century, April 29 2018. NY, NY. ASAPS, Creating Shape Through Lipoplasty, Muscle Etching and Volume Addition, April 28 2018. NY, NY. ASAPS, Male Global Body Sculpting, April 26 2018. NY, NY. ASAPS, Glute augmentation with silicone implants & fat grafting, April 26 2018. NY, NY. High Definition Body Contouring – Creating Shape Through Lipoplasty, Muscle Etching and Volume Addition, Scientific Session Blue, Saturday, April 28 2017. San Francisco, CA. Experienced Insights Body Contouring, Insight: Technology, October 19 2017. San Francisco, CA. Experienced Insights Body Contouring, Insight: Body Contouring, October 21 2017. San Francisco, CA. Experienced Insights Body Contouring, Insight: Body Contouring, Pain management, October 21 2017. San Francisco, CA. Experienced Insights Body Contouring, Insight: Body Contouring, Abdominal Etching, October 21 2017. 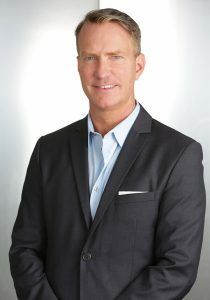 Dr. Steinbrech, described by Forbes as the “Go-to surgeon for men,” is one of the nation’s most sought out experts for men’s surgery, leading the new wave of techniques in the accelerating field of men’s aesthetics. His techniques, attention to detail, and approach to cosmetic procedures have been customized to the male anatomy. Dr. Steinbrech has been recognized as being one of the top plastic surgeons for men in his field by multiple media sources such as The Wall Street Journal, Forbes, New York Times, NBC & ABC. Along with an internationally respected team of physicians, Dr. Steinbrech is currently editing the first textbook focused solely men entitled Anesthetic Plastic Surgery for Men. The textbook is expected to be in circulation by Spring, 2019. Dr. Steinbrech is Board Certified by the American Board of Plastic Surgeons and is very active on The American Society for Aesthetic Plastic Surgery. His passion for male plastic surgery led him to establish The New York Institute of Male Plastic Surgery in early 2016, which provides an educational foundation for current and future physicians to learn about and help further this subspecialty. Dr. Steinbrech underwent eight years of surgical training at New York University in General Surgery and Plastic and Reconstructive surgery; trained at the prestigious NYU Institute of Plastic and Reconstructive Surgery. This included training at Manhattan Eye, Ear and Throat Hospital by the icons of the 20th and 21st centuries including mentors Aston, Baker, McCarthy, Tabbal and Pittman. Steinbrech DS, Leadership Development Committee, The Aesthetic Meeting, New York, New York, April 28 2018. Lenox Hill Neighborhood House (2005-Present), Recipient of The 2017 Lenox Hill Philanthropy Award. Plastic Surgery Resident (PGY 8-10). Increasing immunogenicity of tumor cells by MHC class II transfection– a mechanism of tumor vaccines. Cloning the genes for myosin in the chick–understanding actin-myosin molecular interactions. Understanding the Molecular expression of Angiotensin Converting Enzyme in relation to Sarcoidosis. Honors undergraduate thesis on rate-limiting transcriptional factors in Dictyostelium Discoideum. 1) Kraft B, Steinbrech DS, Yang M, and Soll DR: High frequency switching in Dictyostelium Developmental Biology 130: 198-208, 1988. 2)Gilbert SR, Steinbrech DS, Hunninghake GW: Evaluation of Angiotensin Converting Enzyme steady-state mRNA in a murine model of granuloma formation. American Review of Respiratory Disease 141: A867. 1990. 3) Gilbert SR, Steinbrech DS, Landas SK, and Hunninghake GW: Amounts of Angiotensin Converting enzyme mRNA reflect the burden of granulomas in granulomatous lung disease. American Review of Respiratory Disease 148: 483-6 1993. 4) Rowe NM, Mehrara BJ, Dudziak ME, Steinbrech DS, MacKool RJ, Gittes GK, McCarthy JG, Longaker MT: Rat mandibular distraction osteogenesis: Part I. Histologic and radiographic analysis. Plastic and Reconstructive Surgery 102 (6);2022-32,1998. 5) Boeve TR, Steinberg JB, Corry DS, Steinbrech DS, Richenbacher WE, Behrendt DM: Cardiac surgery on patients with solid organ transplants. The 67th Scientific Session of The American Heart Association, 1996. 6) Mehrara BJ, Steinbrech DS, Rowe NM, Mackool RJ, Gittes GK, McCarthy JG, and Longaker MT: Rat mandibular distraction osteogenesis: II. Molecular analysis of transforming growth factor β-1 and osteocalcin gene expression. Plastic and Reconstructive Surgery 103(2):53647, 1999. 7) Chang J, Most D, Bresneck S, Mehrara BJ, Steinbrech DS, Longaker MT, and Turk AE: Proliferative hemangiomas: Analysis of cytokine gene expression and angiogenesis. Plastic and Reconstructive Surgery 103: 1-9, 1999. 8) Frenkel SR, Saadeh PB, Mehrara BJ, Steinbrech DS, Cocker R, McCormick SA, Gittes GK, Longaker MT: Transforming growth factor beta superfamily members: role in cartilage modeling. Owen H. Wangensteen Surgical Forum XLIX—Proceedings of the 84th Annual Sessions of Owen H. Wangensteen Surgical Forum 49: 516-518, 1998. 9) Fernandez H, Mehrara BJ, Saadeh PB, Steinbrech DS, Grau J, Gittes GK, Longaker MT: Adenoviralmediated TGF-β1 gene therapy of osteoblasts in vitro. Owen H. Wangensteen Surgical Forum XLIX—Proceedings of the 84th Annual Sessions of Owen H. Wangensteen Surgical Forum 49: 522524, 1998. 10) Steinbrech DS, Gerrets RP, Mehrara BJ, Saadeh PB, Dudziak ME, McCarthy JG, Gittes GK, Longaker MT: Characterization of growth, maturation, and expression of vascular endothelial growth factor expression by osteoblasts in response to hypoxia. Owen H. Wangensteen Surgical Forum XLIX—Proceedings of the 84th Annual Sessions of Owen H. Wangensteen Surgical Forum 49: 513-516, 1998. 11) Saadeh PB, Mehrara BJ, Steinbrech DS, Dudziak ME, Gosain AK, Gittes GK, Longaker MT: TGFβ1 and basic FGF modulate the expression of vascular endothelial growth factor by osteoblasts in vitro. Owen H. Wangensteen Surgical Forum XLIX—Proceedings of the 84th Annual Sessions of Owen H. Wangensteen Surgical Forum 49: 513-516, 1998. 12) Longaker MT, Mehrara BJ, Steinbrech DS, Rowe NM, Dudziak ME, Grau J, McCarthy JG, Gittes GK: Gene expression during mandibular distraction osteogenesis. Owen H. Wangensteen Surgical Forum XLIX—Proceedings of the 84th Annual Sessions of Owen H. Wangensteen Surgical Forum 49: 646-648, 1998. 13) Williams JK, Steinbrech DS, Mehrara BJ, Rowe NM, Dudziak ME, Saadeh PB, McCarthy JG, Gittes GK, Longaker MT: Gene expression of TGF-β1, TGF-β1 receptors-I and II, and insulin-like growth factor-I and II during mandibular bone fracture healing. Owen H. Wangensteen Surgical Forum XLIX—Proceedings of the 84th Annual Sessions of Owen H. Wangensteen Surgical Forum 49: 661662, 1998. 14) Mehrara BJ, Fernandez H, Chau D, Sagiroglu J, Steinbrech DS, Ueno H, Grau J, Gittes GK, Longaker MT: Adenovirus-mediated transmission of a dominant negative truncated TGF-β1 receptor inhibits in vitro mouse cranial suture fusion. Owen H. Wangensteen Surgical Forum XLIX—Proceedings of the 84th Annual Sessions of Owen H. Wangensteen Surgical Forum 49: 492 494, 1998. 15) Rowe NM, Mehrara BJ, Williams JK, MacKool RJ, Steinbrech DS, Thorne CH, Carp NS, Longaker MT, McCarthy JG: Device stability, accelerated rates and rhythms in craniofacial distraction osteogenesis in an experimental model. Plastic Surgical Forum; Volume XXI: 228-230, 1998. 16) Mehrara BJ, Ueno H, Fernandez H, Steinbrech DS, Saadeh PB, Sagrigolu J, McCarthy JG, Gittes GK, Longaker MT: Gene therapy of fusing cranial sutures. Plastic Surgical Forum; Volume XXI: 225-227, 1998. 17) Mehrara BJ, Saadeh PB, Steinbrech DS, Dudziak M, Gittes GK, Longaker MT: Adenovirus-mediated TGF-β1 gene therapy of osteoblasts in vitro. Plastic Surgical Forum; Volume XXI: 75-77, 1998. 18) Saadeh PB, Cocker RS, Falk AM, DeVore DP, Mehrara BJ, McCormick SA, Steinbrech DS, Rowe NM, McCarthy JG, Gittes GK, Longaker MT: Repair of a critical sized defect in the rat mandible using allogenic type I collagen. Plastic Surgical Forum; Volume XXI: 41-43, 1998. 19) Rowe NM, Mehrara BJ, Steinbreh DS, Dudziak ME, Saadeh PB, McCarthy JG, Gittes GK, McCarthy JG and Longaker MT: Angiogenesis during mandibular distraction osteogenesis. Annals of Plastic Surgery 42(5): 470-75. 20) Saadeh PB, Brent B, Mehrara BJ, Steinbrech DS, Ting V, Gittes GK, Longaker MT: Human cartilage engineering: Chondrocyte extraction, proliferation, and characterization for construct development. Annals of Plastic Surgery 42(5):509-13, 1999. 22) Mehrara BJ, Saadeh PB, Steinbrech DS, Dudziak M, Gittes GK, Longaker MT: Adenovirus-mediated gene therapy of osteoblasts in vitro and in vivo. Journal of Bone and Mineral Research 14(8):1290301. 23) Steinbrech DS, Mehrara BJ, Rowe NM, Dudziak ME, Saadeh PB, Gittes GK, Longaker MT: Gene expression of insulin-like growth factor I and II in rat membranous osteotomy healing. Annals of Plastic Surgery. 42(5):481-87. 24) Mehrara BJ, Steinbrech DS, Saadeh PB, Gittes GK, Longaker MT: The expression of high affinity receptors for TGF-β1 during cranial suture fusion. Annals of Plastic Surgery 42(5):502-8,1999. 25) Steinbrech DS, Mehrara BJ, Saadeh PB, Chin G, Dudziak ME, Gerrets RP, Gittes GK, Longaker MT: Hypoxia upregulates VEGF expression and cellular proliferation by osteoblasts in vitro. Plastic and Reconstructive Surgery 104(3):738-47, 1999. 26) Mehrara BJ, Greenwald JA, Chin GS, Dudziak ME, Sagirolglu JS, Steinbrech DS, Saadeh PB, Gittes GK, Longaker MT: Regional differentiation of rat cranial suture-derived dural cells is dependent on association with fusing and patent cranial sutures. Plastic and Reconstructive Surgery (Accepted for publication). 28) Saadeh PB, Mehrara BJ, Steinbrech DS, Greenwald JA, Gosain AK, Gittes GK, Longaker MT: Vascular endothelial growth factor expression is increased in membranous bone healing and TGF-β1 modulates its expression by osteoblasts in vitro. (Accepted for publication, American Journal of Physiology, 1999). 29) Rowe NM, Steinbrech DS, Mehrara BJ, Saadeh PB, Dudziak ME, Luchs JS, Greenwald JA, Paccione MF, Gittes GK, Longaker MT: Gene expression of VEGF, TGF-beta3, Collagen II and TIMP-1: Molecules important to rat membranous Bone Repair. Owen H. Wangensteen Surgical Forum XLX—Proceedings of the 85th Annual Sessions of Owen H. Wangensteen Surgical Forum, 1999. 30) Leung JD, Steinbrech DS, Mehrara BJ, Gerrets RP, Saadeh PB, Luchs JS, Gittes GK, Longaker MT: The hypoxic regulation of genes known to be involved in fracture healing: Collagen II and III, TGFβ2 and β3, TGF-β RI and RII, and TIMP-1 in primary osteoblasts. Owen H. Wangensteen Surgical Forum XLX—Proceedings of the 85th Annual Sessions of Owen H. Wangensteen Surgical Forum, 1999. 31) Steinbrech DS, Mehrara BJ, Saadeh PB, Luchs JS, Spector JS, Greenwald JA, Gittes GK, Longaker MT: The molecular regulation of hypoxia-induced VEGF expression in primary osteoblasts suggests an oxygen-sensing mechanism. Owen H. Wangensteen Surgical Forum XLX—Proceedings of the 85th Annual Sessions of Owen H. Wangensteen Surgical Forum, 1999. 32) Luchs JS, Mehrara BJ, Paccione MF, Steinbrech DS, Greenwald JA, Spector JA, Saadeh PB, Gittes GK, Longaker MT: The expression of BMP-2/4 and BMP-7 during membranous bone fracture repair. Owen H. Wangensteen Surgical Forum XLX—Proceedings of the 85th Annual Sessions of Owen H. Wangensteen Surgical Forum, 1999. 33) Saadeh PB, Mehrara BJ, Steinbrech DS, Luchs JS, Greenwald JA, Spector JA, Gittes GK, Longaker MT: Molecular mechanisms of angiogenesis during fracture healing. Surgical Forum Owen H. Wangensteen Surgical Forum XLX—Proceedings of the 85th Annual Sessions of Owen H. Wangensteen Surgical Forum, 1999. 34) Dudziak ME, Saadeh PB, Mehrara BJ, Steinbrech DS, Spector JA, Greenwald JA, Paccione MF, Gittes GK, Longaker MT: Ionizing radiation: Effects on osteoblast-like cells in vitro and a potential gene therapy-mediated phenotype “Rescue”. Owen H. Wangensteen Surgical Forum XLX— Proceedings of the 85th Annual Sessions of Owen H. Wangensteen Surgical Forum, 1999. 35) Paccione MF, Saadeh PB, Mehrara BJ, Steinbrech DS, Spector JA, Greenwald JA, Luchs JS, Gittes GK, Longaker MT: The regulation of VEGF expression in osteoblastic cells. Owen H. Wangensteen Surgical Forum XLX—Proceedings of the 85th Annual Sessions of Owen H. Wangensteen Surgical Forum, 1999. 36) Greenwald JA, Mehrara BJ, Spector JA, Chin GS, Steinbrech DS, Saadeh PB, Luchs JS, Paccione MF, Gittes GK, Longaker MT: Biomolecular mechanisms of calvarial bone induction; immature vs. mature dura mater. Plastic and Reconstructive Surgery (Accepted for publication). 37) Frenkel SR, Saadeh PB, Mehrara BJ, Chin GS, Steinbrech DS, Brent B, Gittes Gk, Longaker MT: Transforming growth factor beta superfamily members: Role in cartilage modeling. Plastic and Reconstructive Surgery (Accepted for publication). during rat membranous bone healing. Plastic and Reconstructive Surgery (Accepted for publication). 39) Steinbrech DS, Mehrara BJ, Saadeh PB, Spector JS, Luchs JS, Greenwald JA, Gittes GK, Longaker MT: Hypoxic induction of vascular endothelial growth factor is mediated by an oxygen-sensing mechanism. American Journal of Physiology (Accepted for publication, 1999). 40) Steinbrech DS, Mehrara BJ, Saadeh PB, Spector JS, Luchs JS, Greenwald JA, Gittes GK, Longaker MT: Gene expression in rat membranous bone repair II: regulation of TGF-β3, VEGF, collagen II, and TIMP-1 in fracture healing (Submitted for publication). 44) Rowe NM, Steinbrech DS, Mehrara BJ, Saadeh PB, Dudziak ME, Luchs JS, Greenwald JA, Paccione MF, Gittes GK, Longaker MT: Gene expression of VEGF, TGF-β3 Collagen II and TIMP-1: Molecules important to rat membranous bone repair. Owen H. Wangensteen Surgical Forum XLXX—Proceedings of the 85th Annual Sessions of Owen H. Wangensteen Surgical Forum (In press, 1999). 45) Leung JD, Steinbrech DS, Mehrara BJ, Gerrets RP, Saadeh PB, Luchs JS, Gittes GK, Longaker MT: The hypoxic regulation of genes known to be involved in fracture healing: Collagen II and III, TGFβ2, and β3, TGF-β RI and RII, and TIMP-1 in primary osteoblasts. Owen H. Wangensteen Surgical Forum XLXX—Proceedings of the 85th Annual Sessions of Owen H. Wangensteen Surgical Forum (In press, 1999). 46) Steinbrech DS, Mehrara BJ, Saadeh PB, Luchs JS, Spector JS, Greenwald JA, Gittes GK, Longaker MT: The molecular regulation of hypoxia-induced VEGF expression in primary osteoblasts suggests an oxygen-sensing mechanism. Owen H. Wangensteen Surgical Forum XLXX—Proceedings of the 85th Annual Sessions of Owen H. Wangensteen Surgical Forum (In press, 1999). 47) Luchs JS, Mehrara BJ, Paccione MF, Steinbrech DS, Greenwald JA, Spector JA, Saadeh PB, Gittes GK, Longaker MT: The expression of BMP-2/4 and BMP-7 during membranous bone fracture repair. Owen H. Wangensteen Surgical Forum XLXX—Proceedings of the 85th Annual Sessions of Owen H. Wangensteen Surgical Forum (In press, 1999). 48) Saadeh PB, Mehrara BJ, Steinbrech DS, Luchs JS, Greenwald JA, Spector JA, Gittes GK, Longaker MT: Molecular mechanisms of angiogenesis during fracture healing. Owen H. Wangensteen Surgical Forum XLXX—Proceedings of the 85th Annual Sessions of Owen H. Wangensteen Surgical Forum (In press, 1999). 49) Dudziak ME, Saadeh PB, Mehrara BJ, Steinbrech DS, Spector JA, Greenwald JA, Paccione MF, Gittes GK, Longaker MT: Ionizing Radiation: effects on osteoblast-like cells in vitro and a potential gene therapy-mediated phenotypic “rescue”. Owen H. Wangensteen Surgical Forum XLXX—Proceedings of the 85th Annual Sessions of Owen H. Wangensteen Surgical Forum (In press, 1999). 50) Paccione MF, Saadeh PB, Mehrara BJ, Steinbrech DS, Spector JA, Greenwald JA, Luchs JS, Gittes GK, Longaker MT: The regulation of VEGF expression in osteoblastic cells. Owen H. Wangensteen Surgical Forum XLXX—Proceedings of the 85th Annual Sessions of Owen H. Wangensteen Surgical Forum (In press, 1999). 51) Saadeh JA, Mehrara BJ, Gosain AK, Paccione MF, Steinbrech DS, Spector JA, Gittes GK, Longaker MT: Fracture healing: the effects of strain on osteoblasts. Plastic Surgical Forum; Volume XXII (In press, 1999). 52) Greenwald JA, Mehrara BH, Saadeh PB, Steinbrech DS, Gittes GK, Longaker MT: Re-ossification of calvarial defects: immature vs. mature dura mater. Plastic Surgical Forum; Volume XXII (In press, 1999). 53) Saadeh PB, Mehrara BJ, Dudziak ME, Steinbrech DS, Spector JA, Greenwald JA, Gittes GK, Longaker MT: Osteoradionecrosis: Cellular mechanisms and gene therapy. Plastic Surgical Forum; Volume XXII (In press, 1999). 54) Steinbrech DS, Mehrara BJ, Saadeh PB, Rowe NM, Dudziak ME, Luchs JS, Greenwald JA, Spector JA, Gittes GK, Longaker MT: An overview of the gene expression of ten molecules critical for osteogenesis in membranous bone healing. Plastic Surgical Forum; Volume XXII (In press, 1999). 55) Mehrara BJ, Saadeh PB, Steinbrech Ds, Paccione MF, Gittes GK, Longaker MT: Molecular differences between acute mandibular bone lengthening and distraction osteogenesis. Plastic Surgical Forum; Volume XXII (In press, 1999). 56) Steinbrech DS, Mehrara BJ, Saadeh PB, Luchs JS, Greenwald JA, Paccione MF, Gittes GK, Longaker MT: Adenovirus-mediated delivery of TGF-β1 in dermal fibroblasts: a model of gene therapy for wound healing. Plastic Surgical Forum; Volume XXII (In press, 1999). 57) Bouletreau PJ, Warren SM, Spector JA, Steinbrech DS, Mehrara BJ, Longaker MT: Factors in the fracture microenvironment induce primary osteoblast angiogenic cytokine production. Plast Reconstr Surg. 2002 Jul;110(1):139-48. 58) Saadeh PB, Khosla RK, Mehrara BJ, Steinbrech DS, McCormick SA, DeVore DP, Longaker MT: Repair of a critical size defect in the rat mandible using allogenic type I collagen. J Craniofac Surg. 2001 Nov;12(6):573-9. 59) Chin GS, Liu W, Peled Z, Lee TY, Steinbrech DS, Hsu M, Longaker MT: Differential expression of transforming growth factor-beta receptors I and II and activation of Smad 3 in keloid fibroblasts. Plast Reconstr Surg. 2001 Aug;108(2):423-9. 60) Warren SM, Steinbrech DS, Mehrara BJ, Saadeh PB, Greenwald JA, Spector JA, Bouletreau PJ, Longaker MT: Hypoxia regulates osteoblast gene expression. J Surg Res. 2001 Jul;99(1):147-55. 61) Bouletreau PJ, Steinbrech D, Spector JA, Warren SM, Greenwald JA, Mehrara BJ, Detch RC, Longaker MT: Gene expression of transforming growth factor-beta 3 and tissue inhibitor of metalloproteinase type 1 during membranous bone healing in rats. J Craniofac Surg. 2000 Nov;11(6):521-6. 62) Mehrara BJ, Saadeh PB, Steinbrech DS, Dudziak M, Grayson BH, Cutting CB, McCarthy JG, Gittes GK, Longaker MT: A rat model of gingivoperiosteoplasty. J Craniofac Surg. 2000 Jan;11(1):54-8. 63) Warren SM, Mehrara BJ, Steinbrech DS, Paccione MF, Greenwald JA, Spector JA, Longaker MT: Rat mandibular distraction osteogenesis: part III. Gradual distraction versus acute lengthening. Plast Reconstr Surg. 2001 Feb;107(2):441-53. 64) Steinbrech DS, Mehrara BJ, Saadeh PB, Greenwald JA, Spector JA, Gittes GK, Longaker MT: VEGF expression in an osteoblast-like cell line is regulated by a hypoxia response mechanism. Am J Physiol Cell Physiol. 2000 Apr;278(4):C853-60. 66) Spector JA, Mehrara BJ, Greenwald JA, Saadeh PB, Steinbrech DS, Bouletreau PJ, Smith LP, Longaker MT: Osteoblast expression of vascular endothelial growth factor is modulated by the extracellular microenvironment. Am J Physiol Cell Physiol. 2001 Jan;280(1):C72-80. 67) Dudziak ME, Saadeh PB, Mehrara BJ, Steinbrech DS, Greenwald JA, Gittes GK, Longaker MT: The effects of ionizing radiation on osteoblast-like cells in vitro. Plast Reconstr Surg. 2000 Oct;106(5):1049-61. 68) Spector JA, Mehrara BJ, Greenwald JA, Saadeh PB, Steinbrech DS, Smith LP, Longaker MT: A molecular analysis of the isolated rat posterior frontal and sagittal sutures: differences in gene expression. Plast Reconstr Surg. 2000 Sep;106(4):852-61; discussion 862-7. 69) Greenwald JA, Mehrara BJ, Spector JA, Fagenholz PJ, Saadeh PB, Steinbrech DS, Gittes GK, Longaker MT: Immature versus mature dura mater: II. Differential expression of genes important to calvarial reossification. Plast Reconstr Surg. 2000 Sep;106(3):630-8; discussion 639. 70) Steinbrech DS, Mehrara BJ, Rowe NM, Dudziak ME, Luchs JS, Saadeh PB, Gittes GK, Longaker MT: Gene expression of TGF-beta, TGF-beta receptor, and extracellular matrix proteins during membranous bone healing in rats. Plast Reconstr Surg. 2000 May;105(6):2028-38. 71) Saadeh PB, Mehrara BJ, Steinbrech DS, Spector JA, Greenwald JA, Chin GS, Ueno H, Gittes GK, Longaker MT: Mechanisms of fibroblast growth factor-2 modulation of vascular endothelial growth factor expression by osteoblastic cells. 72) Steinbrech DS, Mehrara BJ, Saadeh PB, Greenwald JA, Spector JA, Gittes GK, Longaker MT: Hypoxia increases insulinlike growth factor gene expression in rat osteoblasts. Ann Plast Surg. 2000 May;44(5):529-34; discussion 534-5. 73) Spector JA, Mehrara BJ, Luchs JS, Greenwald JA, Fagenholz PJ, Saadeh PB, Steinbrech DS, Longaker MT: Expression of adenovirally delivered gene products in healing osseous tissues. Ann Plast Surg. 2000 May;44(5):522-8. 74) Greenwald JA, Mehrara BJ, Spector JA, Chin GS, Steinbrech DS, Saadeh PB, Luchs JS, Paccione MF, Gittes GK, Longaker MT: Biomolecular mechanisms of calvarial bone induction: immature versus mature dura mater. Plast Reconstr Surg. 2000 Apr;105(4):1382-92. 75) Frenkel SR, Saadeh PB, Mehrara BJ, Chin GS, Steinbrech DS, Brent B, Gittes GK, Longaker MT: Transforming growth factor beta superfamily members: role in cartilage modeling: Plast Reconstr Surg. 2000 Mar;105(3):980-90. 76) Mehrara BJ, Greenwald J, Chin GS, Dudziak M, Sagrioglu J, Steinbrech DS, Saadeh PB, Gittes GK, Longaker MT: Regional differentiation of rat cranial suture-derived dural cells is dependent on association with fusing and patent cranial sutures. Plast Reconstr Surg. 1999 Sep;104(4):1003-13. 77) Steinbrech DS, Sammy Sinno: Utilizing the power of Fat Grafting to Obtain a Naturally- Appearing Muscular” 6-Pack Abdomen”. Aesthetic Surgery Journal Advanced Access published March 15, 2016. 1) Steinbrech DS, Steinbrech DS, Borud LJ, Seibold JR, Choi M: Vascular Disease at the Wrist in Scleroderma. (In preparation for submitted to Plast Reconstr Surg. Fall, 1999). 1) Steinbrech DS, Rosenberg SA: Transfection of MHC Class II Protein Increases Immunogenicity in Mouse Tumor Model System. Surgery Branch, NCI, National Institutes of Health. (Presented April 5th , 1992, Bethesda, MD). 2) Gilbert SR, Steinbrech DS, Hunninghake GW: Evaluation of Angiotensin Converting Enzyme Steady-state mRNA in a Murine Model of Granuloma Formation. American Review of Respiratory Disease (Presented 1990). 3) Boeve TR, Steinberg JB, Corry DS, Steinbrech DS, Richenbacher WE, Behrendt DM: Cardiac Surgery on Patients with Solid Organ Transplants. The 67th Scientific Session of The American Heart Association, (Presented 1996). 4) Steinbrech DS, Rosenberg SA: MHC Class II Molecule Transfection Increases Immunogenicity in Mouse Tumor Model System. Howard Hughes Research Conference, National Institutes of Health. (Presented May 15, 1992, Bethesda, MD). 5) Saadeh PB, Mehrara BJ, Steinbrech DS, Dudziak ME, Gosain AK, Gittes GK, Longaker, MT: TGF-β1 and Basic FGF Modulate the Expression of vascular endothelial growth factor by osteoblasts in vitro. The 43rd Annual Meeting of the Plastic Surgery Research Council. (Presented April 5, 1998, Loma Linda, CA). 6) Steinbrech DS, Mehrara BJ, Saadeh PB, Dudziak ME, Gerrets RE, Gittes GK, Longaker MT: Vascular endothelial growth factor gene expression is increased by osteoblasts in response to hypoxic conditions. The 43rd Annual Meeting of the Plastic Surgery Research Council. (Presented April 5, 1998, Loma Linda, CA). 7) Dudziak ME, Mehrara BJ, Saadeh PB, Chau D, Steinbrech DS, Gittes GK, Longaker MT: The effects of ionizing radiation on osteoblast proliferation, maturation, and cytokine expression. The 43rd Annual Meeting of the Plastic Surgery Research Council. (Presented April 5, 1998, Loma Linda, CA). 8) Mehrara BJ, Fernandez H, Saadeh PB, Steinbrech DS, Chau D, Gittes GK, Longaker MT: Adenoviral-mediated TGF-β1 gene therapy of osteoblasts in vitro. The 43rd Annual Meeting of the Plastic Surgery Research Council. (Presented April 5, 1998, Loma Linda, CA). 9) Chau D, Steinbrech DS, Mehrara BJ, Lee T, Chin G, Lee S, Gittes GK, Longaker MT: Hypoxia upregulates vascular endothelial growth factor in keloid fibroblasts. The 43rd Annual Meeting of the Plastic Surgery Research Council. (Presented April 6, 1998, Loma Linda, CA). 10) Steinbrech DS, Mehrara BJ, Rowe NM, Dudziak, ME, McCarthy JG, Gittes GK, Longaker MT: Gene expression of Insulin-Like Growth Factor-I and II in Rat Membranous Bone Fracture Healing. The 43rd Annual Meeting of the Plastic Surgery Research Council. (Presented April 7, 1998, Loma Linda, CA). 11) Mehrara BJ, Steinbrech DS, Saadeh PB, Chau D, Gittes GK, Longaker MT: Basic Fibroblast Growth Factor Differentially Regulates the Expression of TGF-β1 and TGF-β3 by Osteoblasts. The 43rd Annual Meeting of the Plastic Surgery Research Council. (Presented April 7, 1998, Loma Linda, CA). 12) Mehrara BJ, Steinbrech DS, Rowe NM, Dudziak ME, McCarthy JG, Gittes GK, Longaker MT: Expression of TGF-β1 and osteocalcin during rat mandibular distraction osteogenesis. The 43rd Annual Meeting of the Plastic Surgery Research Council. (Presented April 7, 1998, Loma Linda, CA). 13) Frenkel S, Saadeh PB, Mehrara BJ, Steinbrech DS, Gittes GK, Longaker MT: TGF-B superfamily members: role in cartilage modeling. The 43rd Annual Meeting of the Plastic Surgery Research Council. (Presented April 7, 1998, Loma Linda, CA). 14) Dudziak ME, Rowe NM, Mehrara BJ, Steinbrech DS, Mackool RJ, Gittes GK, McCarthy JG, Longaker MT: A new rat model for study of mandibular distraction osteogenesis. New York University College of Dentistry Research Day, New York, NY, May 6, 1998. 15) Dudziak ME, Rowe NM, Mehrara BJ, Steinbrech DS, Mackool RJ, Gittes GK, McCarthy JG, Longaker MT: A new rat model for the study of mandibular distraction osteogenesis. The American College of Oral and Maxillofacial Surgeons, Cleveland, OH, April 30-May 3, 1998. 16) Frenkel SR, Saadeh PB, Mehrara BJ, Steinbrech DS, Cocker R, McCormick SA, Gittes, GK, Longaker, MT: TGF-β superfamily members: Role in cartilage modeling. The 84th Clinical Congress of the American College of Surgeons (Presented October 1998, Orlando, FL). 17) Fernandez H, Mehrara BJ, Saadeh PB, Steinbrech DS, Grau J, Gittes GK, Longaker MT: Adenovirus-mediated TGF-β1 gene therapy of osteoblasts in vitro. The 84th Clinical Congress of the American College of Surgeons (Presented October 1998, Orlando, FL). 18) Steinbrech DS, Gerrets RP, Mehrara BJ, Saadeh PB, Dudziak ME, McCarthy JG, Gittes GK, Longaker MT: Characterization of growth, maturation, and expression of vascular endothelial growth factor expression by osteoblasts in response to hypoxia. The 84th Clinical Congress of the American College of Surgeons (Presented October 1998, Orlando, FL). 19) Dudziak ME, Rowe NM, Mehrara BJ, Steinbrech DS, Mackool RJ, Gittes GK, McCarthy JG, Longaker MT: A new rat model for the study of mandibular distraction osteogenesis. The Hinman Research Symposium, Memphis, TN, October 31-November 2,1997. 20) Saadeh PB, Mehrara BJ, Steinbrech DS, Dudziak ME, Gosain AK, Gittes GK, Longaker MT: Transforming growth factor-β1and basic fibroblast growth factor modulate expression of vascular endothelial growth factor by osteoblasts in vitro. The 84th Clinical Congress of the American College of Surgeons (Presented October 1998, Orlando, FL). 21) Longaker MT, Mehrara BJ, Steinbrech DS, Rowe NM, Dudziak ME, Grau J, McCarthy JG, Gittes GK: Gene expression during mandibular distraction osteogenesis. The 84th Clinical Congress of The American College of Surgeons (Presented October 1998, Orlando, FL). 22) Williams JK, Steinbrech DS, Mehrara BJ, Rowe NM, Dudziak ME, Saadeh PB, McCarthy JG, Gittes GK, Longaker MT: Gene expression of TGF-β1, TGF-β1 receptors-I and II during mandibular bone fracture healing. The 84th Clinical Congress of the American College of Surgeons (Presented October 1998, Orlando, FL). 23) Mehrara BJ, Fernandez H, Chau D, Sagiroglu J, Steinbrech DS, Ueno H, Grau J, Gittes GK, Longaker MT: Adenovirus-mediated transmission of a dominant negative truncated TGF-β receptor inhibits in vitro mouse cranial suture fusion. The 84th Clinical Congress of the American College of Surgeons (Presented October 1998, Orlando, FL). 24) Mehrara BJ, Saadeh PB, Steinbrech DS, Rowe NM, Dudziak ME, Cutting CB, McCarthy JG, Gittes GK, Longaker MT: A novel rodent model of gingivoperiosteoplasty. The 55th Annual Meeting of The American Cleft Palate-Craniofacial Association. (Presented April 24, 1998, Baltimore, MD). 25) Chau D, Steinbrech DS, Mehrara BJ, Lee S, Gittes GK, Longaker MT: Hypoxia upregulates VEGF production in keloids. The 15th Annual Scientific Program of the Northeastern Society of Plastic Surgeons. (Presented October 23, 1998, Newport, RI). 26) Steinbrech DS, Mehrara BJ, Rowe NM, Dudziak ME, Saadeh PB, McCarthy JG, Gittes GK, Longaker MT: Gene expression of insulin-like growth factor-I and II in rat membranous bone fracture healing. The 15th Annual Scientific Program of the Northeastern Society of Plastic Surgeons. (Presented October 23, 1998, Newport, RI). 27) Mehrara BJ, Most D, Steinbrech DS, Gittes GK, Longaker MT: The expression of high affinity receptors for TGF-β1 during rat cranial suture fusion. The 15th Annual Scientific Program of the Northeastern Society of Plastic Surgeons. (Presented October 23, 1998, Newport, RI). 28) Saadeh PB, Brent B, Ting V, Mehrara BJ, Steinbrech DS, Gittes GK, Longaker MT: Human tissue engineering: chondrocyte extraction, proliferation, and characterization for construct development. The 15th Annual Scientific Program of the Northeastern Society of Plastic Surgeons. (Presented October 23, 1998, Newport, RI). 29) Sagiroglu J, Mehrara BJ, Steinbrech DS, Gittes GK, Longaker MT: Studies in cranial suture biology: growth factor production by fusing sutures in vitro. The 15th Annual Scientific Program of the Northeastern Society of Plastic Surgeons. (Presented October 23, 1998, Newport, RI). 30) Rowe NM, Mehrara BJ, Dudziak ME, Steinbrech DS, Fernandez GH, Gittes GK, Longaker MT: Neovascularization during mandibular distraction osteogenesis: The 15th Annual Scientific Program of the Northeastern Society of Plastic Surgeons. (Presented October 23, 1998, Newport, RI). 31) Saadeh PB, DeVore DP, Mehrara BJ, McCormick SA, Steinbrech BJ, Rowe NM, Gittes GK, Longaker MT: Repair of a critical sized defect in the rat mandible using allogenic type I collagen. The 67th Annual Scientific Meeting of the American Society of Plastic and Reconstructive Surgeons. (Presented October 5, 1998, Boston, MA). 32) Rowe NM, Mehrara BJ, Williams JK, Mackool RJ, Steinbrech DS, Thorne CH, Karp NS, Longaker MT, McCarthy JG: Device stability, accelerated rates and rhythms in craniofacial distraction osteogenesis in an experimental model. The 67th Annual Scientific Meeting of the American Society of Plastic and Reconstructive Surgeons. (Presented October 5, 1998, Boston, MA). 33) Mehrara BJ, Saadeh PB, Steinbrech DS, Dudziak ME, Gittes GK, Longaker MT: Adenovirusmediated TGF-β1 gene therapy of osteoblasts in vitro. The 67th Annual Scientific Meeting of the American Society of Plastic and Reconstructive Surgeons. (Presented October 5, 1998, Boston, MA). 34) Steinbrech DS, Mehrara BJ, Chau D, Saadeh PB, Rowe NM, McCarthy JG, Gittes GK, Longaker MT: Fibroblast response to hypoxia: The relationship between angiogenesis and matrix regulation. The 32nd Annual Meeting of the Association for Academic Surgery (Presented November 21, 1998, Seattle, WA). 35) Mehrara BJ, Ueno H, Fernandez H, Steinbrech DS, Saadeh PB, Gittes GK, Longaker MT: Gene therapy of fusing cranial sutures. The 67th Annual Scientific Meeting of the American Society of Plastic and Reconstructive Surgeons. (Poster presented October 5, 1998, Boston, MA). 36) Rowe NM, Hollier LH, Luchs J, Williams KW, Mehrara BJ, Steinbrech DS, McCormick SU, Longaker MT, Grayson BH, McCarthy JG: The development of a vehicle for the delivery of factors to bone during distraction osteogenesis. The 56th Annual Meeting of The American Cleft Palate-Craniofacial Association. (Presented April 14, 1999, Scottsdale, AZ). 37) Steinbrech DS, Mehrara BJ, Saadeh PB, Dudziak ME, Chin GY, Gittes GK, McCarthy JG, Longaker MT: The effects of platelet-derived growth factor on VEGF expression in osteoblasts: In an in vitro model of osteogenesis. The 56th Annual Meeting of The American Cleft PalateCraniofacial Association. (Presented April 14, 1999, Scottsdale, AZ). 38) Steinbrech DS, Mehrara BJ, Saadeh PB, Rowe NM, Chin GY, McCarthy JG, Gittes, GK, Longaker MT: Gene expression of growth factors in membranous fracture: Determining gene candidates for therapy to improve healing in craniofacial surgery. The 56th Annual Meeting of The American Cleft Palate-Craniofacial Association. (Presented April 14, 1999, Scottsdale, AZ). 39) Dudziak ME, Rowe NM, Mehrara BJ, Steinbrech DS, Mackool RJ, Gittes GK, Grayson BH, McCarthy JG, Longaker MT: Guided tissue regeneration during mandibular distraction osteogenesis. The Annual Meeting of the American Association of Dental Research, March, 1999. 40) Greenwald JA, Mehrara BJ, Chin G, Spector JA, Steinbrech DS, Saadeh PB, Luchs JS, Paccione MF, Gittes GK, Longaker MT: Immature vs. Mature Dura: Biomolecular Mechanisms of Calvarial Bone Induction. 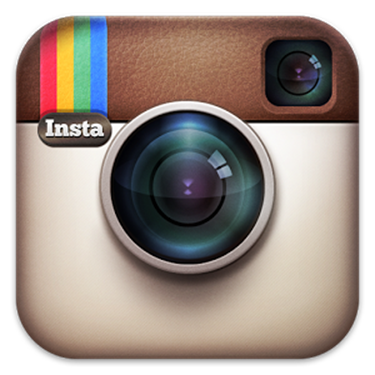 The 44th Annual Meeting of the Plastic Surgery Research Council. (Presented May 23, 1999, Pittsburgh, PA). 41) Mehrara BJ, Steinbrech DS, Paccione MF, Luchs JS, Rowe NM, Dudziak ME, Saadeh PB, Gittes GK, Longaker MT: Increased expression of bone ECM molecules in gradually distracted mandibles as compared with acutely lengthened mandibles. The 44th Annual Meeting of the Plastic Surgery Research Council. (Presented May 23, 1999, Pittsburgh, PA). 42) Saadeh PB, Mehrara BJ, Greenwald JA, Steinbrech DS, Gittes GK, Longaker MT: Growth Factor Control of VEGF Expression by Osteoblastic Cells. The 44th Annual Meeting of the Plastic Surgery Research Council. (Presented May 23, 1999, Pittsburgh, PA). 43) Steinbrech DS, Mehrara BJ, Saadeh PB, Dudziak ME, Luchs JS, Greenwald JA, Gittes GK, Longaker MT: Gene Expression of TGF-beta3, VEGF, Collagen II, and TIMP in Rat Membranous Fracture Healing. The 44th Annual Meeting of the Plastic Surgery Research Council. (Presented May 23, 1999, Pittsburgh, PA). 44) Steinbrech DS, Mehrara BJ, Saadeh PB, Dudziak ME, Gerrets RE, Luchs JS, Spector JA, Gittes GK, Longaker MT: The Molecular Mechanisms of Hypoxia-Induced VEGF Expression Suggest an Oxygen-Sensing Mechanism in Primary Rat Osteoblasts. The 44th Annual Meeting of the Plastic Surgery Research Council. (Presented May 23, 1999, Pittsburgh, PA). 45) Rowe NM, Steinbrech DS, Mehrara BJ, Saadeh PB, Dudziak ME, Luchs JS, Greenwald JA, Paccione MF, Gittes GK, Longaker MT: Gene Expression of VEGF, TGF-beta3 Collagen II and TIMP-1: Molecules Important to Rat Membranous Bone Repair. The 85th Clinical Congress of The American College of Surgeons (Presented October 1999, San Francisco, CA). 46) Leung JD, Steinbrech DS, Mehrara BJ, Gerrets RP, Saadeh PB, Luchs JS, Gittes GK, Longaker MT: The Hypoxic Regulation of Genes Known to be Involved in Fracture Healing: Collagen II and III, TGF-β2, and -β3, TGF-β RI and RII, and TIMP-1 in primary osteoblasts. The 85th Clinical Congress of The American College of Surgeons (Presented October 1999, San Francisco, CA). 47) Steinbrech DS, Mehrara BJ, Saadeh PB, Luchs JS, Spector JS, Greenwald JA, Gittes GK, Longaker MT: The Molecular Regulation of Hypoxia-Induced VEGF Expression in Primary Osteoblasts Suggests an Oxygen-Sensing Mechanism. The 85th Clinical Congress of The American College of Surgeons (Presented October 1999, San Francisco, CA). 48) Luchs JS, Mehrara BJ, Paccione MF, Steinbrech DS, Greenwald JA, Spector JA, Saadeh PB, Gittes GK, Longaker MT: The Expression of BMP-2/4 and BMP-7 During Membranous Bone Fracture Repair. The 85th Clinical Congress of The American College of Surgeons (Presented October 1999, San Francisco, CA). 49) Saadeh PB, Mehrara BJ, Steinbrech DS, Luchs JS, Greenwald JA, Spector JA, Gittes GK, Longaker MT: Molecular Mechanisms of Angiogenesis During Fracture Healing. The 85th Clinical Congress of The American College of Surgeons (Presented October 1999, San Francisco, CA). 50) Dudziak ME, Saadeh PB, Mehrara BJ, Steinbrech DS, Spector JA, Greenwald JA, Paccione MF, Gittes GK, Longaker MT: Ionizing Radiation: Effects On Osteoblast-Like Cells In vitro and a Potential Gene Therapy-Mediated Phenotypic “Rescue”. The 85th Clinical Congress of The American College of Surgeons (Presented October 1999, San Francisco, CA). 51) Paccione MF, Saadeh PB, Mehrara BJ, Steinbrech DS, Spector JA, Greeenwald JA, Luchs JS, Gittes GK, Longaker MT: The Regulation of VEGF Expression in Osteoblastic Cells. The 85th Clinical Congress of The American College of Surgeons (Presented October 1999, San Francisco, CA). 52) Steinbrech DS, Mehrara BJ, Saadeh PB, Luchs JS, Greenwald JA, Chin GS, Gittes GK, Longaker MT: Platelet-Derived Growth Factor Upregulated VEGF mRNA Expression in Rat Osteoblast Like Cells. The 33rd Annual Meeting of the Association of Academic Surgery. (Presented November 18, 1999, Philadelphia, PA). 53) Greenwald JA, Mehrara BJ, Spector JA, Steinbrech DS, Saadeh PB, Gittes GK, Longaker MT: Regional Differentiation of Dura Mater Determines Fate of Cranial Sutures. The 33rd Annual Meeting of the Association of Academic Surgery. (Presented November 18, 1999, Philadelphia, PA). 54) Steinbrech DS, Mehrara BJ, Saadeh PB, Greenwald JA, Spector JA, Paccione MF, Luchs JS, Gittes GK, Longaker MT: Hypoxia Increases Insulin-like Growth Factor Gene Expression in Primary Osteoblasts. The 16th Annual Meeting of Northeastern Society of Plastic Surgeons. (Presented October1, 1999, Burlington, VT). 55) Greenwald JA, Mehrara BJ, Spector JA, Steinbrech Ds, Saadeh PB, Gittes GK, Longaker MT: Immature Dura Mater: Critical to Calvarial Re-Ossification. The 16th Annual Meeting of Northeastern Society of Plastic Surgeons. (Presented October1, 1999, Burlington, VT). 56) Saadeh PB, Frankel SR, Mehrara BJ, Steinbrech DS, Gittes GK, Longaker MT: Cytokine Mediated Enhancement of Articular Cartilage Defect Healing. The 16th Annual Meeting of Northeastern Society of Plastic Surgeons. (Presented October1, 1999, Burlington, VT). 57) Spector JA, Mehrara BJ, Luchs JS, Greenwald JA, Saadeh PB, Steinbrech DS, Paccione MF, Gittes GK, Longaker MT: Expression of Adenovirally-Delivered Gene Products in Osseous Tissues: A Roadmap for Gene Therapy in Bone. The 16th Annual Meeting of Northeastern Society of Plastic Surgeons. (Presented October1, 1999, Burlington, VT). 58) Saadeh JA, Mehrara BJ, Gosain AK, Paccione MF, Steinbrech DS, Spector JA, Gittes GK, Longaker MT: Fracture Healing; The Effects of Strain on Osteoblasts. The 68th Annual Meeting of The American Society of Plastic and Reconstructive Surgery. (Presented October 24, 1999, New Orleans, LA). 59) Greenwald JA, Mehrara BH, Saadeh PB, Steinbrech DS, Gittes GK, Longaker MT: ReOssification of Calvarial Defects: Immature vs. Mature Dura Mater. The 68th Annual Meeting of The American Society of Plastic and Reconstructive Surgery. (Presented October 24, 1999, New Orleans, LA). 60) Saadeh PB, Mehrara BJ, Dudziak ME, Steinbrech DS, Spector JA, Greenwald JA, Gittes GK, Longaker MT: Osteoradionecrosis: Cellular Mechanisms and Gene Therapy. The 68th Annual Meeting of The American Society of Plastic and Reconstructive Surgery. (Presented October 24, 1999, New Orleans, LA). 61) Steinbrech DS, Mehrara BJ, Saadeh PB, Rowe NM, Dudziak ME, Luchs JS, Greenwald JA, Spector JA, Gittes GK, Longaker MT: An Overview of the Gene Expression of Ten Molecules Critical for Osteogenesis in Membranous Bone Healing. The 68th Annual Meeting of The American Society of Plastic and Reconstructive Surgery. (Presented October 24, 1999, New Orleans, LA). 62) Steinbrech DS, Mehrara BJ, Saadeh PB, Rowe NM, Dudziak ME, Luchs JS, Greenwald JA, Spector JA, Gittes GK, Longaker MT: PDGF and hypoxia stimulate VEGF in primary osteoblast cultures. The 68th Annual Meeting of The American Society of Plastic and Reconstructive Surgery. (Poster presentation, October 24, 1999, New Orleans, LA). 63) Mehrara BJ, Saadeh PB, Steinbrech Ds, Paccione MF, Gittes GK, Longaker MT: Molecular Differences Between Acute Mandibular Bone Lengthening and Distraction Osteogenesis. The 68th Annual Meeting of The American Society of Plastic and Reconstructive Surgery. (Presented October 24, 1999, New Orleans, LA). 64) Steinbrech DS, Mehrara BJ, Saadeh PB, Luchs JS, Greenwald JA, Paccione MF, Gittes GK, Longaker MT: Adenovirus-mediated Delivery of TGF-beta1 in Dermal Fibroblasts: A Model of Gene therapy for Wound Healing. The 68th Annual Meeting of The American Society of Plastic and Reconstructive Surgery. (Presented October 24, 1999, New Orleans, LA). 65) Mehrara BJ, Steinbrech DS, Paccione MF, Luchs JS, Rowe NM, Gittes GK, Longaker MT: Molecular Differences Between Distraction Osteogenesis and Acute Mandibular Bone Lengthening. The VIIIth Internation Congress of The International Society of Craniofacial Surgery. (Presented October 31—November 3, 1999, Taipei, Taiwan). 66) Brent B, Saadeh PB, Mehrara BJ, Steinbrech Ds, Gittes GK, Longaker MT: Human Cartilage Tissue Engineering: Chondrocyte Extraction, Proliferation, and Characterization. The VIIIth Internation Congress of The International Society of Craniofacial Surgery. (Presented October 31—November 3, 1999, Taipei, Taiwan). 67) Steinbrech DS, Mehrara BJ, Saadeh PB, Rowe NM, Dudziak ME, Luchs JS, Greenwald JA, Spector JA, Gittes GK, Longaker MT: Osteogenesis During Normal Membranous Bone Healing: A Comprehensive Genetic Investigation of Ten Critical Molecules. The VIIIth Internation Congress of The International Society of Craniofacial Surgery. (Presented October 31— November 3, 1999, Taipei, Taiwan). 1) Steinbrech DS, Rosenberg SA: Transfection of MHC Class II Protein Increases Immunogenicity in Mouse Tumor Model System. Surgery Branch, NCI, National Institutes of Health. April 5th , 1992, Bethesda, MD. 3) Steinbrech DS, Mehrara BJ, Saadeh PB, Dudziak ME, Gerrets RE, Gittes GK, Longaker MT: Vascular endothelial growth factor gene expression is increased by osteoblasts in response to hypoxic conditions. The 43rd Annual Meeting of the Plastic Surgery Research Council. April 5, 1998, Loma Linda, CA. 4) Chau D, Steinbrech DS, Mehrara BJ, Lee T, Chin G, Lee S, Gittes GK, Longaker MT: Hypoxia upregulates vascular endothelial growth factor in keloid fibroblasts. The 43rd Annual Meeting of the Plastic Surgery Research Council. April 6, 1998, Loma Linda, CA. 5) Steinbrech DS, Mehrara BJ, Rowe NM, Dudziak, ME, McCarthy JG, Gittes GK, Longaker MT: Gene expression of Insulin-Like Growth Factor-I and II in Rat Membranous Bone Fracture Healing. The 43rd Annual Meeting of the Plastic Surgery Research Council. April 7, 1998, Loma Linda, CA. 6) Steinbrech DS, Gerrets RP, Mehrara BJ, Saadeh PB, Dudziak ME, McCarthy JG, Gittes GK, Longaker MT: Characterization of growth, maturation, and expression of vascular endothelial growth factor expression by osteoblasts in response to hypoxia. The 84th Clinical Congress of the American College of Surgeons. October 1998, Orlando, FL. 7) Williams JK, Steinbrech DS, Mehrara BJ, Rowe NM, Dudziak ME, Saadeh PB, McCarthy JG, Gittes GK, Longaker MT: Gene expression of TGFβ 1, TGFβ 1 receptors-I and II during mandibular bone fracture healing. The 84th Clinical Congress of the American College of Surgeons. October 1998, Orlando, FL. 8) Chau D, Steinbrech DS, Mehrara BJ, Lee S, Gittes GK, Longaker MT: Hypoxia upregulates VEGF production in keloids. The 15th Annual Scientific Program of the Northeastern Society of Plastic Surgeons. October 23, 1998, Newport, RI. 9) Steinbrech DS, Mehrara BJ, Rowe NM, Dudziak ME, Saadeh PB, McCarthy JG, Gittes GK, Longaker MT: Gene expression of insulin-like growth factor-I and II in rat membranous bone fracture healing. The 15th Annual Scientific Program of the Northeastern Society of Plastic Surgeons. October 23, 1998, Newport, RI. 10) Steinbrech DS, Mehrara BJ, Chau D, Saadeh PB, Rowe NM, McCarthy JG, Gittes GK, Longaker MT: Fibroblast response to hypoxia: The relationship between angiogenesis and matrix regulation. 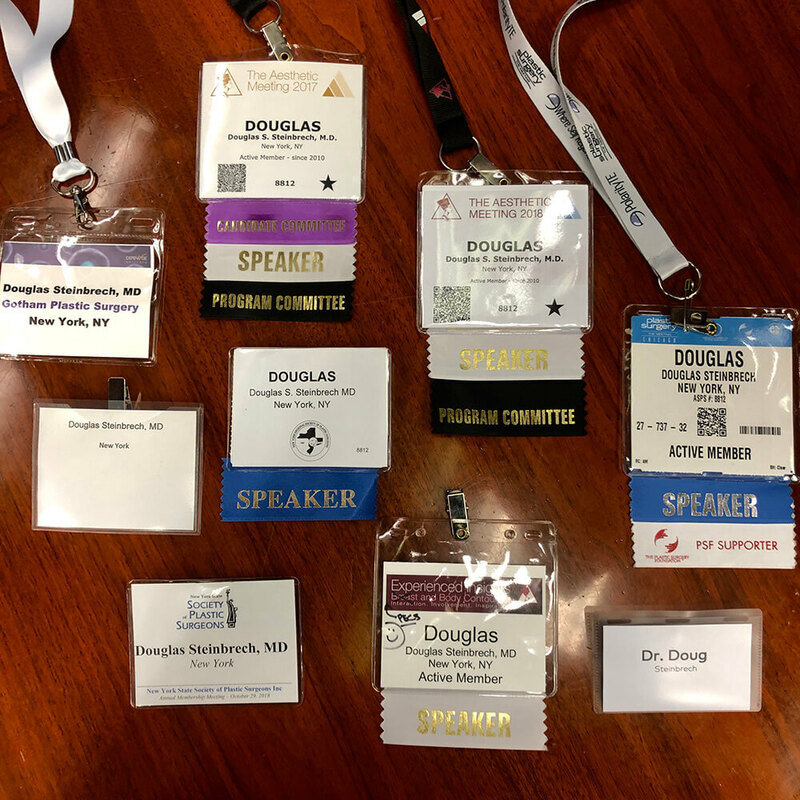 The 32nd Annual Meeting of the Association for Academic Surgery. November 21, 1998, Seattle, WA. 11) Steinbrech DS, Mehrara BJ, Saadeh PB, Dudziak ME, Chin GY, Gittes GK, McCarthy JG, Longaker MT: The effects of platelet-derived growth factor on VEGF expression in osteoblasts: In an in vitro model of osteogenesis. The 56th Annual Meeting of The American Cleft PalateCraniofacial Association. April 14, 1999, Scottsdale, AZ. 12) Steinbrech DS, Mehrara BJ, Saadeh PB, Rowe NM, Chin GY, McCarthy JG, Gittes, GK, Longaker MT: Gene expression of growth factors in membranous fracture: Determining gene candidates for therapy to improve healing in craniofacial surgery. The 56th Annual Meeting of The American Cleft Palate-Craniofacial Association. April 14, 1999, Scottsdale, AZ. 13) Steinbrech DS, Mehrara BJ, Saadeh PB, Dudziak ME, Luchs JS, Greenwald JA, Gittes GK, Longaker MT: Gene Expression of TGF-beta3, VEGF, Collagen II, and TIMP in Rat Membranous Fracture Healing. The 44th Annual Meeting of the Plastic Surgery Research Council. May 23, 1999, Pittsburgh, PA.
14) Steinbrech DS, Mehrara BJ, Saadeh PB, Dudziak ME, Gerrets RE, Luchs JS, Spector JA, Gittes GK, Longaker MT: The Molecular Mechanisms of Hypoxia-Induced VEGF Expression Suggest an Oxygen-Sensing Mechanism in Primary Rat Osteoblasts. The 44th Annual Meeting of the Plastic Surgery Research Council. May 23, 1999, Pittsburgh, PA.
15) Rowe NM, Steinbrech DS, Mehrara BJ, Saadeh PB, Dudziak ME, Luchs JS, Greenwald JA, Paccione MF, Gittes GK, Longaker MT: Gene Expression of VEGF, TGF-beta3 Collagen II and TIMP-1: Molecules Important to Rat Membranous Bone Repair. The 85th Clinical Congress of The American College of Surgeons. October 1999, San Francisco, CA. 16) Leung JD, Steinbrech DS, Mehrara BJ, Gerrets RP, Saadeh PB, Luchs JS, Gittes GK, Longaker MT: The Hypoxic Regulation of Genes Known to be Involved in Fracture Healing: Collagen II and III, TGFβ 2, and β 3, TGFβ RI and RII, and TIMP-1 in primary osteoblasts. The 85th Clinical Congress of The American College of Surgeons. October 1999, San Francisco, CA. 17) Steinbrech DS, Mehrara BJ, Saadeh PB, Luchs JS, Spector JS, Greenwald JA, Gittes GK, Longaker MT: The Molecular Regulation of Hypoxia-Induced VEGF Expression in Primary Osteoblasts Suggests an Oxygen-Sensing Mechanism. The 85th Clinical Congress of The American College of Surgeons. October 1999, San Francisco, CA. 18) Steinbrech DS, Mehrara BJ, Saadeh PB, Luchs JS, Greenwald JA, Chin GS, Gittes GK, Longaker MT: Platelet-Derived Growth Factor Upregulated VEGF mRNA Expression in Rat OsteoblastLike Cells. The 33rd Annual Meeting of the Association of Academic Surgery. November 18, 1999, Philadelphia, PA.
19) Steinbrech DS, Mehrara BJ, Saadeh PB, Greenwald JA, Spector JA, Paccione MF, Luchs JS, Gittes GK, Longaker MT: Hypoxia Increases Insulin-like Growth Factor Gene Expression in Primary Osteoblasts. The 16th Annual Meeting of Northeastern Society of Plastic Surgeons. October1, 1999, Burlington, VT.
20) Steinbrech DS, Mehrara BJ, Saadeh PB, Rowe NM, Dudziak ME, Luchs JS, Greenwald JA, Spector JA, Gittes GK, Longaker MT: An Overview of the Gene Expression of Ten Molecules Critical for Osteogenesis in Membranous Bone Healing. The 68th Annual Meeting of The American Society of Plastic and Reconstructive Surgery. October 24, 1999, New Orleans, LA. 21) Steinbrech DS, Mehrara BJ, Saadeh PB, Rowe NM, Dudziak ME, Luchs JS, Greenwald JA, Spector JA, Gittes GK, Longaker MT: PDGF and hypoxia stimulate VEGF in primary osteoblast cultures. The 68th Annual Meeting of The American Society of Plastic and Reconstructive Surgery. ,October 24, 1999, New Orleans, LA. 22) Steinbrech DS, Mehrara BJ, Saadeh PB, Luchs JS, Greenwald JA, Paccione MF, Gittes GK, Longaker MT: Adenovirus-mediated Delivery of TGF-beta1 in Dermal Fibroblasts: A Model of Gene therapy for Wound Healing. The 68th Annual Meeting of The American Society of Plastic and Reconstructive Surgery. October 24, 1999, New Orleans, LA. 23) Steinbrech DS, Mehrara BJ, Saadeh PB, Rowe NM, Dudziak ME, Luchs JS, Greenwald JA, Spector JA, Gittes GK, Longaker MT: Osteogenesis During Normal Membranous Bone Healing: A Comprehensive Genetic Investigation of Ten Critical Molecules. The VIIIth Internation Congress of The International Society of Craniofacial Surgery. October 31—November 3, 1999, Taipei, Taiwan. 24) Steinbrech DS, Mehrara BJ, Saadeh PB, Rowe NM, Dudziak ME, Luchs JS, Greenwald JA, Spector JA, Gittes GK, Longaker MT: Osteogenesis During Normal Membranous Bone Healing: A Comprehensive Genetic Investigation of Ten Critical Molecules. The VIIIth Internation Congress of The International Society of Craniofacial Surgery. October 31—November 3, 1999, Taipei, Taiwan. 31) Steinbrech DS, Male Body Contouring: Men Are From Venus; Women Are From Mars, American Society for Aesthetic Plastic Surgery (ASAPS), The Aesthetic Meeting, San Diego, April 27-May 2, 2017. 33) Steinbrech DS, High Definition Body Contouring – Creating Shape Through Lipoplasty, Muscle Etching and Volume Addition, Scientific Session Blue, Saturday, April 28 2017. 34) Steinbrech DS, Experienced Insights Breast & Body Contouring, Insight: Breast Augmentation, Technology, October 19 2017. 35) Steinbrech DS, Experienced Insights Breast & Body Contouring, Insight: Body Contouring, October 21 2017. 36) Steinbrech DS, Experienced Insights Breast & Body Contouring, Insight: Body Contouring, Pain management, October 21 2017. 37) Steinbrech DS, Experienced Insights Breast & Body Contouring, Insight: Body Contouring, Abdominal Etching, October 21 2017. 38) Steinbrech DS, Glute augmentation with silicone implants & fat grafting. American Society for Aesthetic Plastic Surgery, April 26 2018. 39) Steinbrech DS, Male Global Body Sculpting. American Society for Aesthetic Plastic Surgery, April 26 2018. 40) Steinbrech DS, Creating Shape Through Lipoplasty, Muscle Etching and Volume Addition. American Society for Aesthetic Plastic Surgery, April 28 2018. 41) Steinbrech DS, Developing Systems in Aesthetic Practice to be Successful in the 21st Century. American Society for Aesthetic Plastic Surgery, April 29 2018. 42) Steinbrech DS, Male Plastic Surgery – How to Get Dudes into Your Practice. American Society for Aesthetic Plastic Surgery, April 29 2018. 43) Steinbrech DS, Body Lifting, American Society of Plastic Surgeons, September 28 2018. 44) Steinbrech DS, Body Contouring in Men- Gluteal Augmentation, American Society of Plastic Surgeons, September 30 2018. 45) Steinbrech DS, Practice Management Hot Topics: Focus On Social Media and Reputation Management. North Eastern Society of Plastic Surgeons, October 27 2018. 46) Steinbrech DS, BodyBanking for Glutes. NYRSPS Annual Meeting, November 17 2018. 47) Steinbrech DS, BodyBankng: Men’s Abdominal Contouring. NYRSPS Annual Meeting, November 17 2018.